They might not have those wonderful seats any longer, but Volvo said this week that the new 2018 XC60 is going to boost the Swedish automaker’s standing in the self-driving tech field by equipping the SUV with some serious autonomous gadgets to, ostensibly, make drives safer. 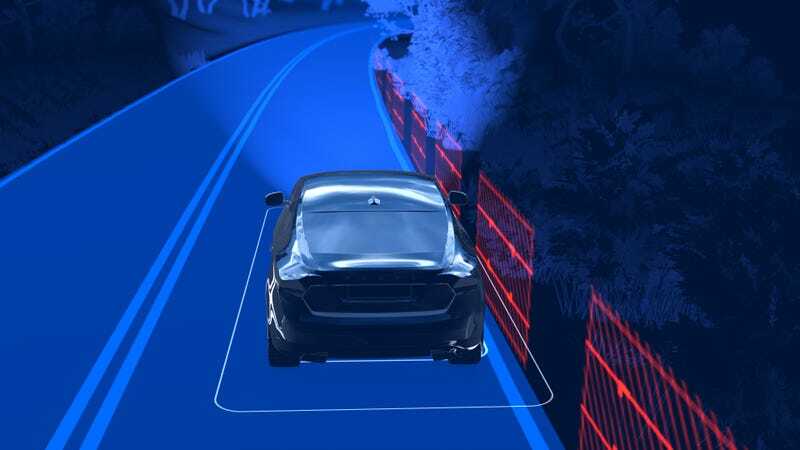 The redesigned SUV, which is slated to be unveiled at the Geneva Motor Show next week, will have three driver-assistance features aimed at helping motorists avoid potential collisions. Volvo said it has seen some success in recent years from its autonomous tech—for instance, a 45 percent decline in rear-end frontal crashes with cars equipped with its Collision Warning with Autobrake feature, part of its City Safety system. Volvo said on Monday that City Safety in the XC60 will also include steering support, a feature that initiates when automatic braking can’t prevent a collision on its own. Another feature called Oncoming Lane Mitigation will alert drivers who drift into an oncoming lane of traffic and, through automatic steering, move the car back into its appropriate lane. That feature is active been 40-85 mph, Volvo said. And then there’s an optional Blind Spot Information System to alert drivers of vehicles in their blind spot; an auto steer assist function will steer the car back into its own lane if the driver missed an oncoming vehicle in their blind spot. For a company that wants to eliminate all traffic deaths in its new vehicles by 2020, this seems like a leap in the right direction. I’m just eager to see how it acts in real-world driving—but hopefully it won’t come to that.